Perfect Gulfcoast get away. Convenient location.You’ll love this one. Located in North Biloxi, this apartment is only A 7 minute drive to the sugar white beaches of The gulf coast, casinos, restaurants, museums and more.The Promenade, one of the coasts busiest shopping districts is only 3 minutes away. The apartment is located on my private 6 acre estate .Enjoy your morning coffee on the private balcony overlooking looking our lake and all the beauty of nature, or relax in the pool just 150 ft away from your door. 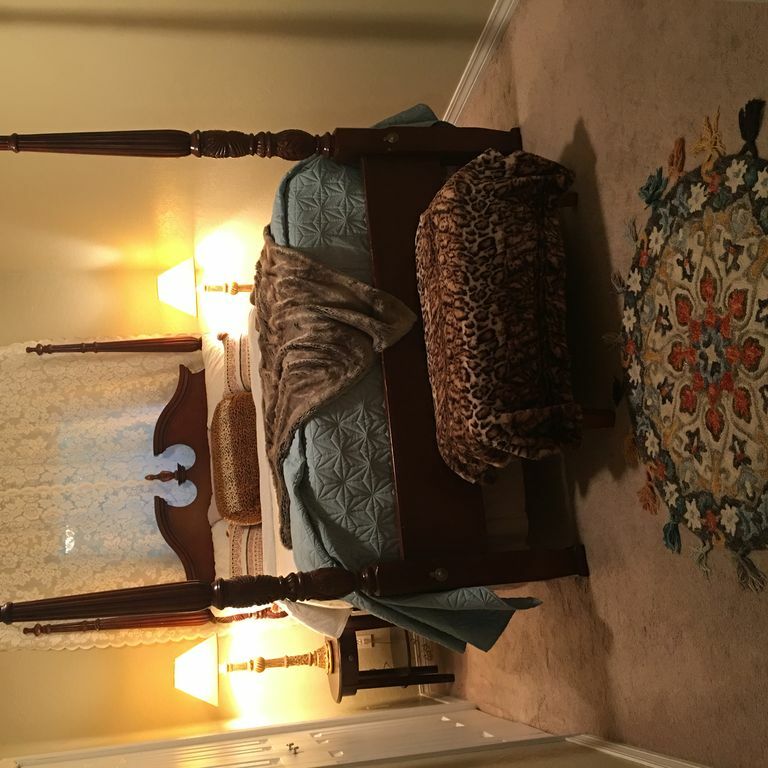 This apartment has one private bedroom with a big comfy queen bed,There are two additional twin beds in the common area/ livingroom and one bath. This is a second story apt, must be able to climb stairs.Television has roku movies. Downstairs apt may be available, just ask. Clean, no frills, close to the beach. Good location in a quiet neighborhood 7 minutes from the beach. Clean with charming decor and the owner is friendly. The listing describes an upstairs unit, but we were placed in a downstairs unit. If you are sensitive to cigarette smoke, you might want to consider another place. The twin beds were comfortable, but the queen bed was hard. I encourage the owner to create a simple home manual including wifi, tv and other instructions so people do not have to call requesting info as often. Overall we enjoyed our stay.